Screenshot from Bernie Goldbach's Flickr photostream with advice everyone should know. I THINK ALL PHONE SHOPS should have a poster with advice about how to orient your phone when snapping photos. We teach aspect ratio in our creative multimedia programme in the Limerick Institute of Technology. Even then, some students forget the concept. Bernie Goldbach likes the feel of a new smartphone. He uses a Nokia Lumia 820 at the moment. Bernie Goldbach with Roger Overall in LSAD-Clonmel. ROGER OVERALL, digital storyteller, spent a half day with creative multimedia students in Clonmel. His 30 minute talk below prodded me to look at my own practise. Like Roger, I know it's important to set aside time to read and write. Lately, the daily grind is getting in ther way of both important tasks. So hearing Roger grapple with the idea (and suggest a work-around) was invaluable. We bring guest lecturers onto our small campus in County Tipperary to exchange ideas and to learn. While trying to record Roger Overall's presentation via a Google Hangout, we failed to follow our own protocols, so an online version of Roger's lecture didn't appear from our set-up. Fortunately, there's a YouTube version available on Roger Overall's channel. Thanks, Roger. We teach the power of narrative in the creative multimedia curriculum at the Limerick Institute of Technology. Bernie Goldbach in Cashel | Tony Clement in Canada. I TRY TO ensure our creative multimedia students understand the importance of sharing data points through simple things like online photos. And I listen to strategic thinkers like Tony Clement explain why our world is better with Open Data in it. I wish anybody in charge of State money in Ireland had to certify (1) Open Data compliance and (2) API end point access for public data they gather or maintain. In my mind, it's a matter of accessibility. We hear the accessibility standard discussed in every developers' conference. Public servants have to be concerned with accessible internet resources and they're graded accordingly. We need to impose the same kind of public expectation on all the data that's culled and presented online by State agencies. All the smartphone ecosystems have exceptionally useful apps available for download that build on top of information created and collected by government sources. My phone has more accurate information about transportation and venues now than ever before. And if governments were more forward-thinking we could boost business, civic engagement and cultural interactions. This Friday, on the first of March 1st at 4PM Irish Time, I'm going to listen to a Hangout on Air about Canada's Open Data portal. The Hangout is with the Honourable Tony Clement, President of the Treasury Board of Canada and Member of Parliament for Parry Sound-Muskoka. Tony is leading the redesign of the Government of Canada’s Open Data portal. YOU LEARN A LOT by learning sportsmanship. Sometimes both teams win..
Watch on Viddler. Hat tip to Misty. 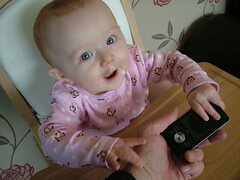 Bernie Goldbach in Cashel | Photo of our tech support specialist. PARENTS SHOULD KNOW how to do 14 specific technical tasks if they want to be held in high regard by their kids, so says the Sunday Times in Ireland. I think it would be fair to ask the Irish Minister for Communications to demonstrate each of these skills on camera. Here is a short listing of the 14 tech skills, as published in a handy guide for technophobe parents today. 1. Know how to post a photo to Instagram. 2. Know how to transfer music from a computer to your phone. 3. Know how to back up your hard drive. I'd add "know how to back up your phone." 4. Know how to use a hashtag on Twitter. 5. Know how to make a photo album on Flickr. It's also important to know how to create a physical object from a Flickr set. 6. Know how to save something into the cloud. 7. Know how to edit a photograph online. 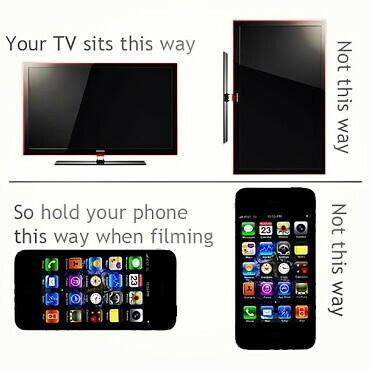 And while you're at it, know how to do basic editing on a phone too. 8. Know how to start a Tumblr blog. 9. Know how to protect your passwords. You should have a password manager close to hand. 10. Know how to improve your privacy settings on Facebook. I've made this an essential skillset in the social media module taught in the creative multimedia degree programme at the Limerick Institute of Technology. 11. Know how to use wireless speakers. 12. Know how to series link a TV show. 13. Know how to scan a QR Code. 14. Know how to make a short link. The Sunday Times -- "Is your child more tech savvy than you?" in the Irish edition, February 24, 2013. Bernie Goldbach in Cashel | Photo of Sunday Business Post Magazine. ONLY THROUGH FREEDOM OF INFORMATION can Irish citizens have any hope of truly discovering why the origins of the country's debt. And that's why the work of Gavin Sheridan is so critically important. In a four-page cover story, Sheridan shares a few insights about big stories his research helped expose in the Irish public interest. But as he also explains, the strategic interest of governments involves keeping information away from citizens. "If there's one thing that's clear from almost all of the scandals in Ireland's past, it's that secrecy meant a lack of access to information." And it's the secrecy behind Ireland's bank debt that confounds citizen who have a right to know more about the suffocating bank bailouts. To read Sheridan's account of the structural impediments facing people who wish to use the Freedom of Information Act, it will take decades to learn from the lessons of the past. That's because transparency isn't part of the remit of the National Asset Management Agency and it's also highly unlikely for citizens to inspect the working papers used by central bankers as they levied bail-out debts of more than EUR 8500 on every Irish citizen. 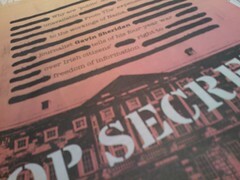 Gavin Sheridan -- "War of the Words" in the Sunday Business Post Magazine, February 24, 2013. Bernie Goldbach in LIT-Clonmel | Video from Code.org. I'VE SPENT SEVERAL EVENINGS teaching young teens how to make stuff with code because 90% of schools don't teach kids how to use computers. Code.org's video explains the passion from the point of view of creative people. Like Coder Dojo, Code.org is a non-profit whose goal is to expose all students to computer programming. 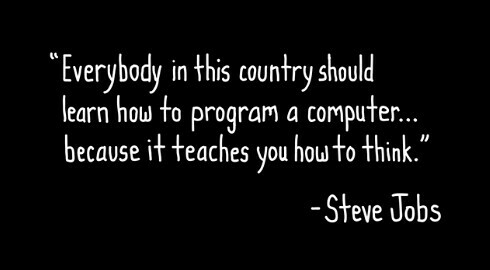 As several people in the video explain, computer programming is a liberal art--something EVERY student in the world should be exposed to at some point in their childhood education. And as we've discovered, it's just simpler to set out our stall and offer coding classes inside our college campus after hours, knowing that the kids of local teachers will return home with superpowers that will influence what percolates into the local Junior Cycle curriculum. 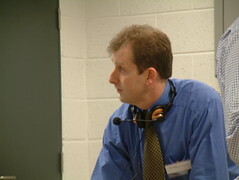 Bernie Goldbach teaches creative multimedia to college students in Ireland. He likes WhizzKids. Bernie Goldbach in LSAD-Clonmel | Brian Mulligan teaching me Camtasia in 2009. The Irish Learning Technology Association (ILTA) holds its 14th annual conference EdTech2013 Opening Up Education - Content, Learning and Collaboration in University College Cork on the last Thursday and Friday of May (30-31 May 13). The 21st century educational landscape is a rapidly changing space. Traditional education policy models, institutions, work-practices and learning cultures are being challenged to meet the needs of diverse, mobile and lifelong learners. The panels at EdTech2013 appear to be aligned with debating the role, opportunities and challenges afforded by technology-enhanced learning. -- Changing learning environments e.g. the emergence of Massive Open Online Courses (MOOCs) alongside the increasing adoption of non-traditional open, flipped, personal, social and informal learning environments. -- Supports for digital literacy development of educators and learners e.g. by constructing pedagogically useful practices to address issues of data curation, digital identity, and global citizenship. -- Policy implementation issues e.g. National Strategypriorities such as enhanced flexibility in the delivery of higher education programmes; and the enhancement of engagement with innovative pedagogies and the technologies that support these. -- Enhancing the quality of learning experiences for the 21st century learner. Bernie Goldbach in LSAD-Clonmel | Screenshot from Linked Strategies. THE NEXT BIG THING is definitely content marketing and the Golden Tickets in that race definitely lie inside SlideShare. I use SlideShare because it is the world’s largest community for sharing presentations. The main site gets 60 million monthly visitors (130 million page views) and that places among the top 200 most-visited websites in the world. But more than raw numbers, SlideShare has some of the best , shareable professionally developed content. And I learn things from that content, such as how to connect video, slides and LinkedIn. 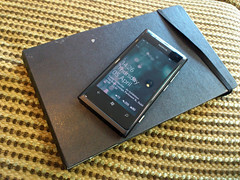 Bernie Goldbach in Cashel | Lumia with Moleskine. I HAVE AN OLD Nokia Lumia running Windows Phone 7 and like my iPad, it won't update to a new operating system. I'm keeping both the original iPad and the original Lumia because they just work. This is the first time in my life that I have stepped off the upgrade treadmill and have moved away from innovative technology. It's a decision driven by austerity mandated by the Irish government and manifested by a combination of savage pay cuts along with rising prices. Because I cannot eat my electronic gadgets, I'm diverting more of our household cash into shopping baskets, petrol, child care, and medicines. There's actually nothing left to buy shiny technology, something that has already impacted our five-year-old as she realises the DVD player does not work. We've put crayons in front of the DVD player to let her know there's an option in the sitting room beyond the TV screen. In the meantime, I get polite nudges from O2 telling me I can have a Windows Phone 8 with the Blue update. It's nice knowing Microsoft's clear upgrade path will be out there waiting for me when I get my next pay rise in 2016. But for now, I'm stepping off the upgrade pathway in nearly everything--hardware, software, and web services. For someone involved in teaching emerging trends in technology, it's a significant downgrade in my professional life. Bernie Goldbach teaches creative multimedia to Honours degree students in the Limerick Institute of Technology. What's next for Windows 8? Why can't I learn to love Windows Phone?